No Strings! DXN Ultrasonic Flow Meter Goes Wireless! Bell Flow Systems were recently pleased to be able to support a new client on the delivery of an advanced wireless flow and energy measurement project. The application criteria was clear; the client wanted to be able to use an ultrasonic flow meter as a portable stand-alone unit - but occasionally for more remote applications they needed to be able to leave the flow meter installed on site, with access to the systems data maintained remotely. The application involved energy audit tasks, so a model with thermal energy integration was specified. 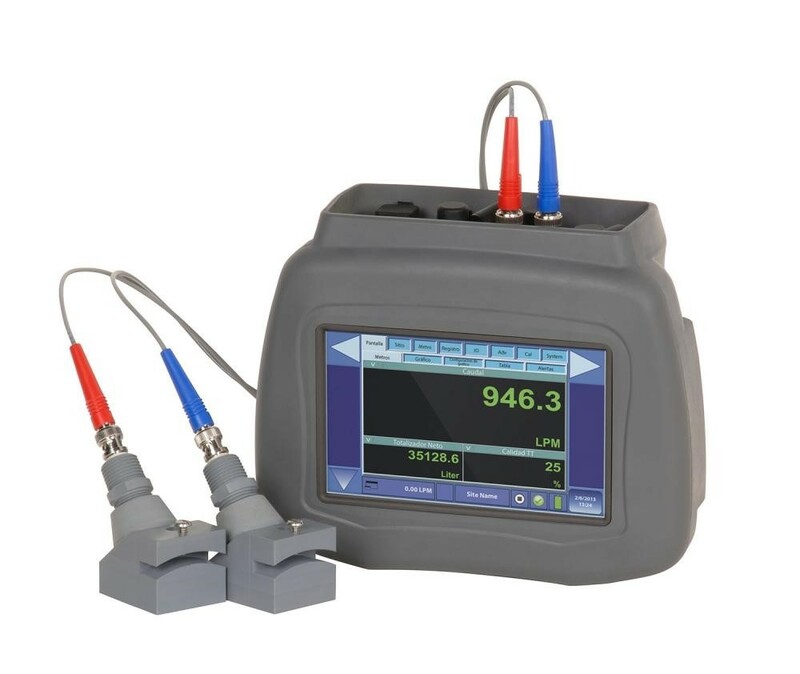 For the flow meter, Bell Flow Systems selected the Badger Meter- DXN Ultrasonic Flow Meter. This meter is a hybrid device capable of both transit time and Doppler flow measurement. On this occasion, the heat meter option was provided - which facilitates thermal heat energy measurement. To ensure that the equipment supplied could be used as a hand-held unit, connection to the DXN meter had to be simple and lightweight. For this reason, single cable Ethernet over I/P connectivity was chosen for the DXN and connected to an UG1005 logging telemetry system. Via this communication protocol, information including: flow rate, supply and return temperatures and signal strength could be collected from the DXN to provide results and diagnostic information in real time - with data recorded every minute. Click here to find out more about the DNX Ultrasonic Flow Meter.